Knights of Creativity Spirit & Ale: Slams and now math? I didn't jump on the "Da Vinci Code" craze; didn't read the book or even see the movie. But, from my understanding, one of the first clues left for the novel's hero and heroine was a fibonacci sequence . 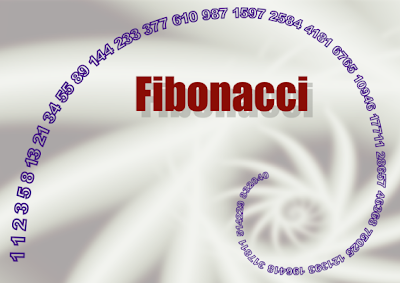 Fibonacci is also something I vaguely remember from grade school math class. Go figure! What does all this have to do with writing poetry? It seems that there is a new crazy out there that utilizes the fibonacci sequence in poetry -- sort of like Haikus. The allure of the form is that it is simple (and you all know that I love simple because I am, well, simple minded). Yet, like haikus, it is restricted. The number of syllables in each line must equal the sum of the syllables in the two previous lines. So, start with 0 and 1, add them together to get your next number, which is also 1, 2 comes next, then add 2 and 1 to get 3, and so on. Some people stop at eight, but it can go in indefinitely. One math geek turned poet said he like Fibonacci poetry because it reminded him of "what a computer scientist would call the 'resource constraints." A variation on the theme would be to let the sequence regulate the number of words.